- Large production volume. 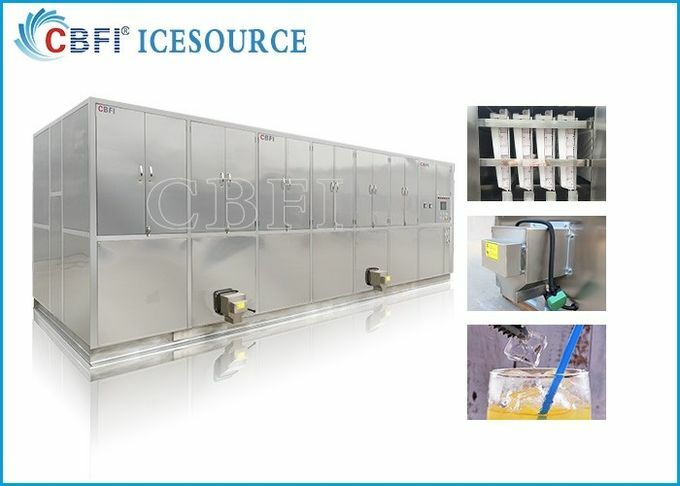 Ice cube machine capacity varies from 1 ton to 20 tons per day. - Low electric power consumption. Adopted first-class compressor and refrigeration units , power consumption: 80kw/h per ton, 70-80kw/h per ton when the temperature is lower than 23 degree. - Easy to operate. PLC system design, one-key operation to start or stop the machine. - Space-saved. 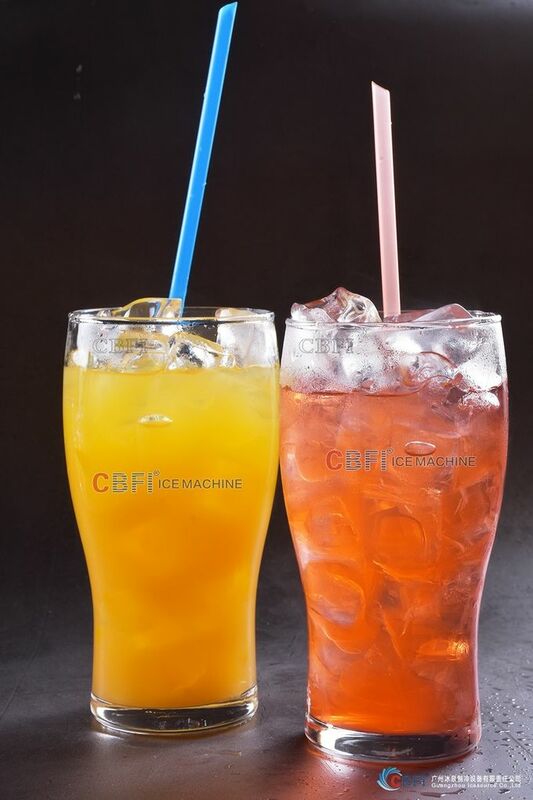 Ice cube machine adopts 3D model, reasonable layout, and integrated design. - Convenient to install. 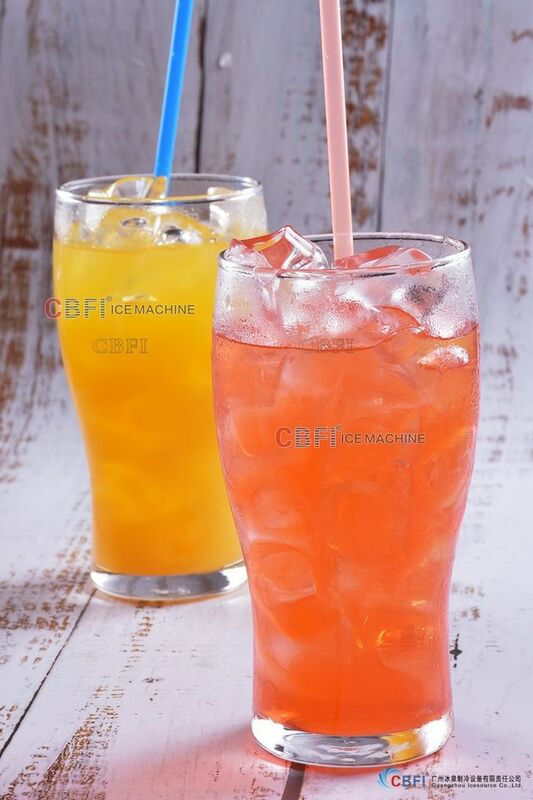 Ice cube machine will tested in our factory for 3 or 4 days continuously before shipping. 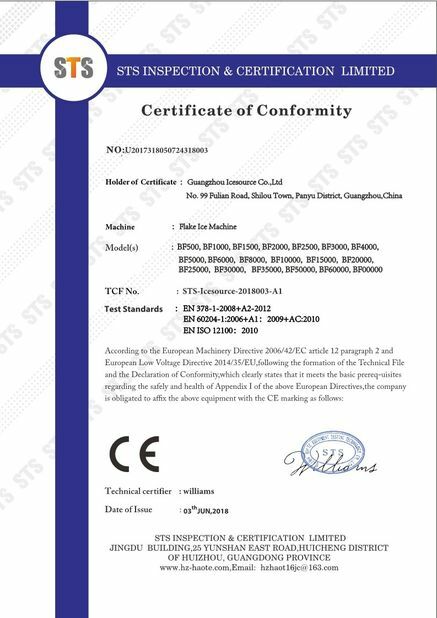 Customer only need to connect power and water before starting the machine. 29mm x 29mm x 22mm. 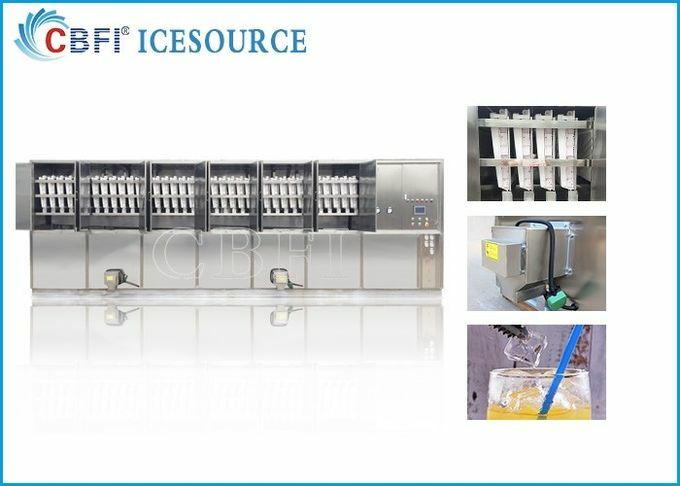 (2) Food-grade stainless steel 304 for the whole machine,which can guarantee the cube ice to be sanitary and with a long life span. (3) Only 80-85kw power is consumed to produce one ton ice,which can save energy greately. 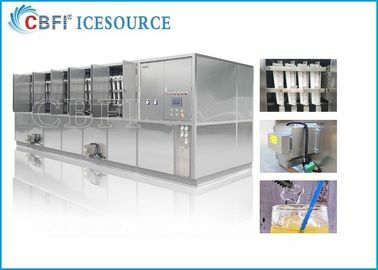 (4) PLC central program control,which can realize adjustable ice thickness, automatic water supplying, automatic ice freezing and ice falling. (5) 2~3hours for ice storage by the insulation film design,which can save the labor greatly. (6). Semi-automatic packing system, no need taking ice by hand directly ,which can guarantee the ice clean and sanitary. Packaging Details: 1. Standard wooden case. 2. 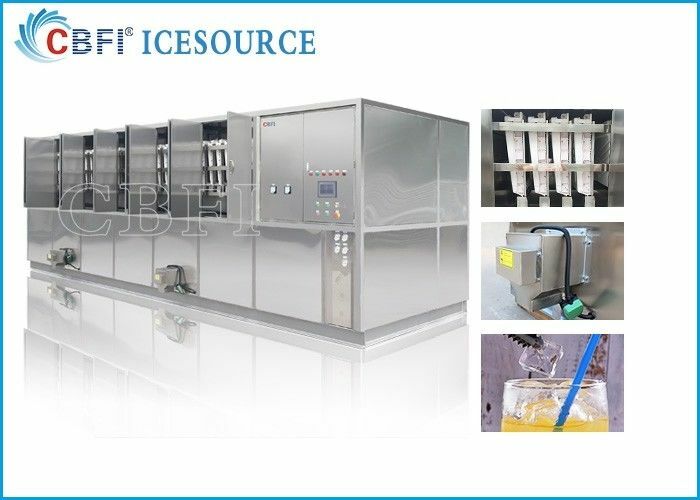 Completely ice machine contain: ice machine, cooling tower, water pump, water pipes and water pipe fittings. 4. All required components for install the machine will be provided. Ⅰ Producing cube ice with a nice look. Ⅲ Highly efficient,energy saving and environmental protection. Cube ice is clear, smooth, no obvious edges and also with moderate particle size. Widely applied in bar,milk tea store,banquet hall,western restaurant,fast food shop,convenience store. Its material all has received the HACCP food safety management syestem certificate. 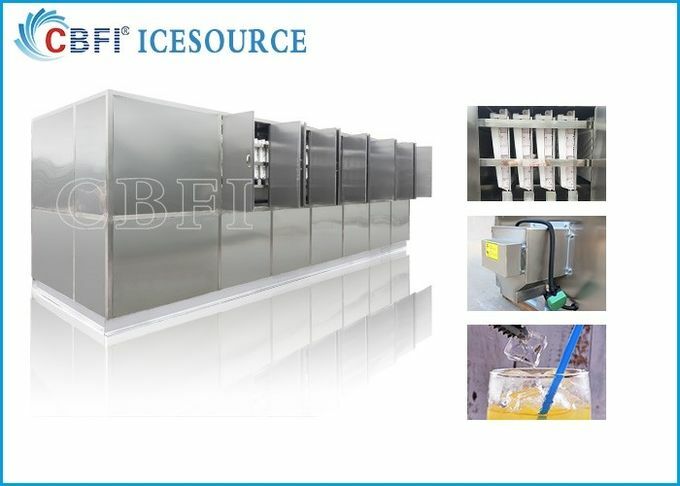 Greatly save energy, only 80-85kw power be consumed to produce one ton ice. No requirement of skilled workers, high durability, minimum maintenance. Q: all your ice machine is based on 380V 50HZ power requirement? Do you have the right power requirement for abord? Such as 440V 60HZ or 220V three phase that suitable for America?